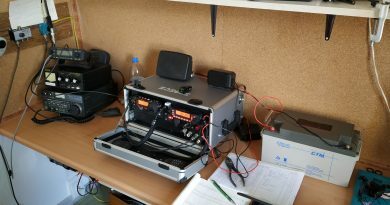 Meanwhile in Puerto Rico, radio amateurs have been operating brisk and busy ad hoc health-and-welfare traffic nets on 7.175 and 14.270 MHz. 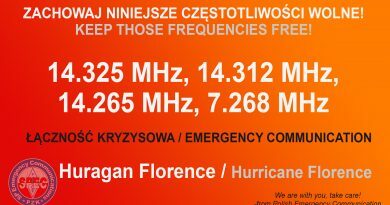 Only outgoing messages are being handled at the moment with incoming enquiries being directed to the American Red Cross ‚safe and well’ web pages. 2m is in heavy use supporting the restoration of utilities and law enforcement. 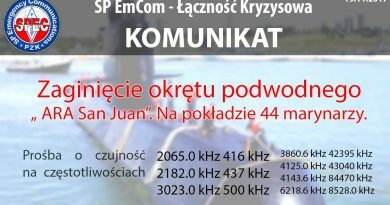 Again clear frequencies for those listed and the Salvation Army SATERN net on 14.265MHz would be appreciated.